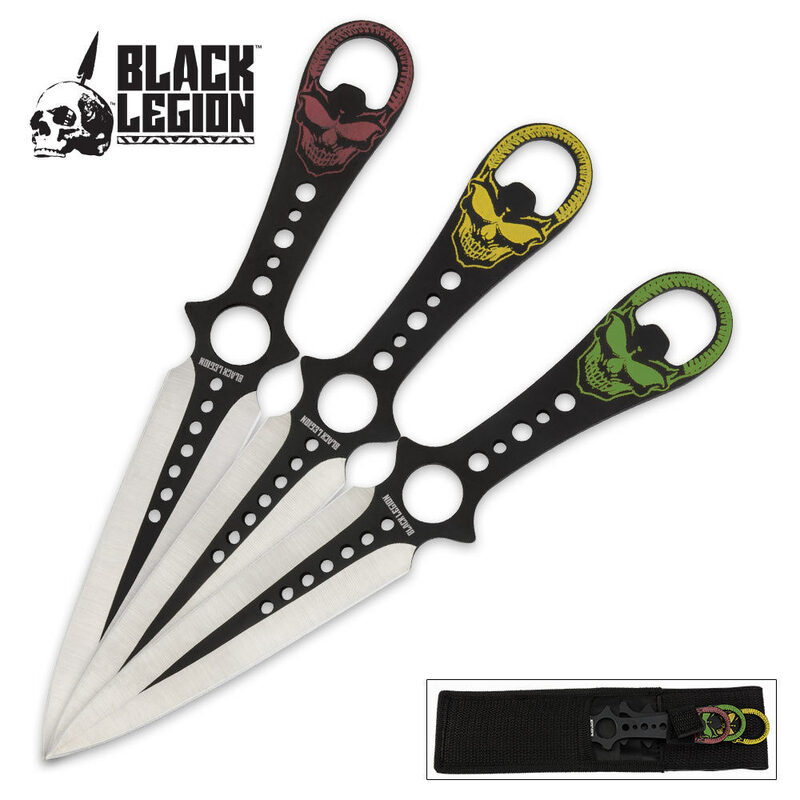 Let streaks of color fly by adding this 3pc set to your throwing knife collection! Featuring colorful open skull screen prints, each thrower is crafted from solid stainless steel with black and silver finish. Other features include the balanced double edged blade and symmetric center cuts. A large center hole makes alternate grips possible. The colored handles make it easy to tell knives apart when competing with friends for the best target hit. 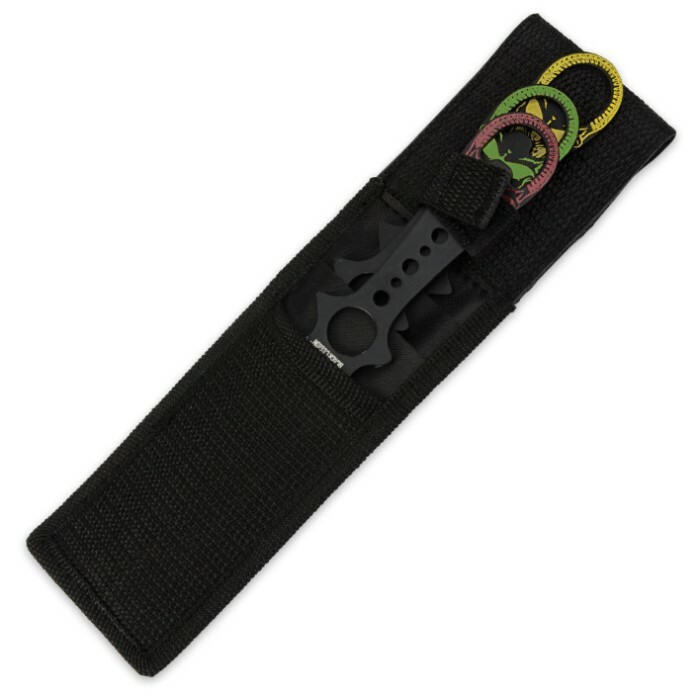 Includes nylon sheath with snap closure and belt loop. Each knife measures 8 in. overall.